This post is by Russell Lee, PNG Coordinator. Today is officially the last day of the PNG trip for 2012 and what a really great trip it was. I, like most of the team, flew home last night and I am starting to reflect today on the fantastic efforts of everyone involved in the project. A small team of people are still in PNG and will finish today and fly home tomorrow. They are packing the last of the equipment that will be coming home shortly, and handing over the final patients into the care of the vary capable local team. Once again, this year has produced an incredible effort by everyone involved. Over 6 operating days that the Australian team were in theatre, we provide surgery to 35 patients. Coupled with the 14 patients that the local team completed prior to our arrival on their own, it takes the total to 49 for the year. The local team will continue to operate this week adding 7 more patients by the end of the week. Every year the local team seem to be more and more active and there is great progress. This year I was tremendously excited to see the establishment of the cardiothoracic ward at Port Moresby General. This is a significant step forward towards more and more work being done by the locally trained team by themselves year round. 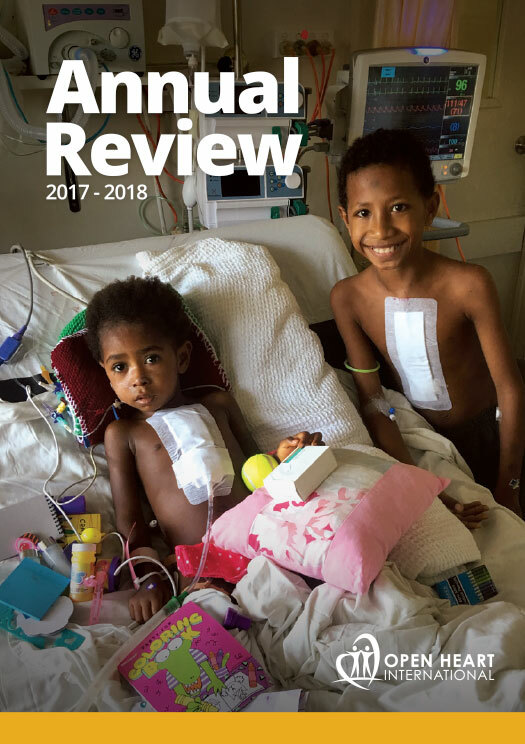 This was financially supported by a wonderful local fundraising committee that really gets behind the “public-private” partnership that is needed to support the long terms goals of Operation Open Heart in PNG. I was also really excited to hear the stories from our team of significant improvements of the local team in the General ICU. This has been a great addition to our work in PNG, and I really appreciate the team that have worked in this very challenging environment in the past two visits. The next tasks are to train the local medical staff that have recently been appointed to positions of perfusion and intensive care. This will then mean the possibility of open heart cases being done completely independently by the local team – what an amazing accomplishment that will be when it is achieved! To everyone involved, whether as a participant, PNG donor, Australian donor, supplier, or our family and friends that continue to encourage us to keep going, we simply want to say thank you. We can’t do it without you – it truly is a team effort to achieve what we do. I have just watched the little video below that Michael has put together – it’s got me looking forward to returning to PNG again next year. But before that, it’s time to focus on Rwanda where we do it all again in a few months time. P.S. If you are seeing a blank screen below, it is likely that YouTube is blocked on your computer. We have a slideshow on Flickr that you can also access by clicking here.